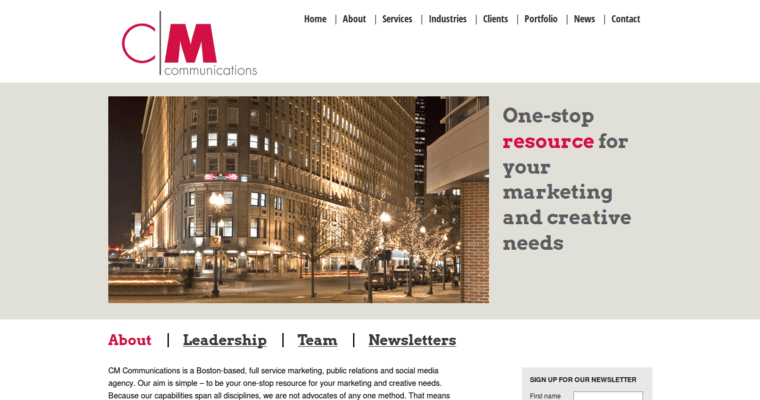 CM Communications is a marketing and public relations (PR) firm based in Boston, Massachusetts. The company provides a variety of services, which include PR, special events planning, direct mail marketing, graphic design, website development, and social media engagement. 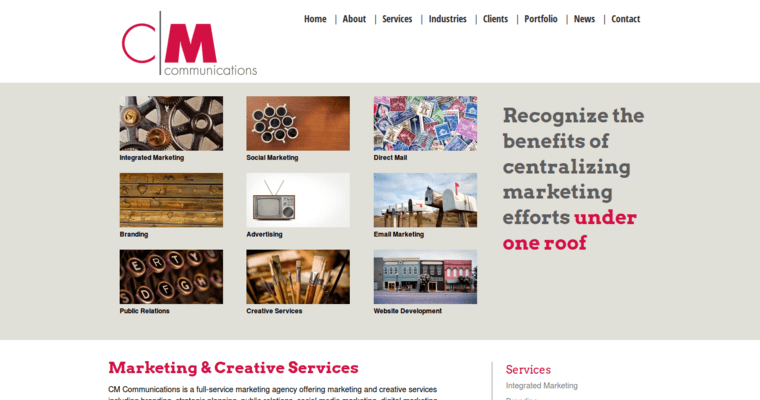 Since its founding in 1986, CM Communications has worked with clients in various industries, which has included retail, travel and hospitality, arts and entertainment, real estate development, and consumer healthcare. 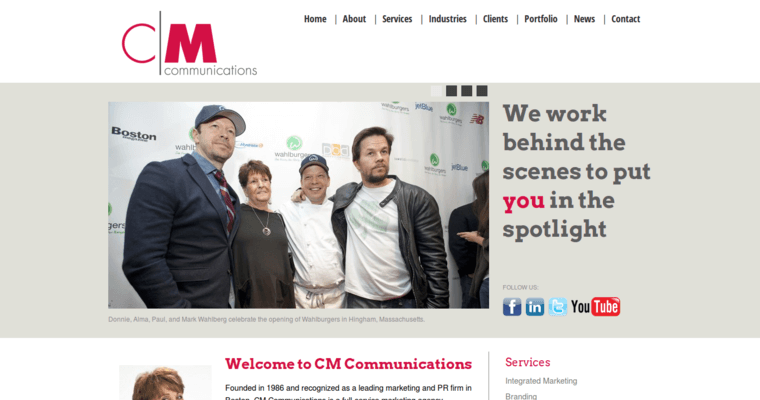 CM Communications's clientele has included Del Frisco's, Klimpton Hotels & Restaurants, Finard Hotel Group, World Challenge, Brandeis University, Institute of Contemporary Art, Smashburger, Women's Hair Loss Clinic, McCormick & Schmick's Seafood Restaurant, and Marriott Vacation Club International.